This nation is in Vacation Mode for the next 1,636 turns. This nation cannot be attacked or traded with during that time. Stralia is a nation led by King Ploros on the continent of Australia. Stralia's government is a Parliamentary Democracy with very moderate social policies. Economically, Stralia favors left wing policies. The official currency of Stralia is the Dollar. 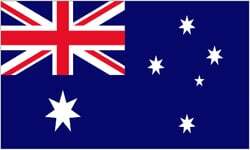 At 264 days old, Stralia is an old nation. Stralia has a population of 263,366 and a land area of 13,500.00 sq. miles. This gives it a national average population density of 19.51. Pollution in the nation is evident. The citizens' faith in the government is completely depleted with an approval rating of 0%. 03/01 12:47 pm - Stralia had war declared by Helghast for the reason of "Sorry i need the money". 02/11 06:12 pm - Stralia had war declared by Guadrucepe for the reason of "U inactive". 02/10 07:00 pm - Stralia had war declared by Eee1 for the reason of "I couldn't come up with anything better than the default". 02/07 06:49 pm - Stralia had war declared by Belgum for the reason of "We like taking candy from babies". 02/05 08:30 pm - Stralia had war declared by Joseph for the reason of "You're a disease, and I'm the cure.". 02/01 07:24 pm - Stralia had war declared by Polish Samoa for the reason of "I am the LAW!". 01/30 08:33 pm - Stralia had war declared by Joseph for the reason of "A not-so-general dispute". 01/22 06:23 pm - Stralia had war declared by Ebano for the reason of "arrgh gimmy that loot". 01/21 08:24 am - Stralia had war declared by The Golden Guild for the reason of "All your GOLD belongs to us".